BANGKOK — Civil society and rights groups in Myanmar said Facebook has failed to adequately act against online hate speech that incites violence against the country's Muslim minorities, neglecting to effectively enforce its own rules. In an open letter to Facebook founder and CEO Mark Zuckerberg, the digital innovation lab Phandeeyar and five other groups challenged Zuckerberg's recent public contention that the social media platform had effectively combated hate speech related to the ongoing persecution of Rohingya Muslims in western Myanmar. The letter dated Thursday charged that Facebook did not have enough in-house Myanmar-language monitors and said it was difficult to quickly bring Facebook's attention to escalating situations that could trigger bloodshed. It also said Facebook has been hesitant to engage with Myanmar organizations to address the hate speech problem systematically and that the company had lacked transparency in responding to the issue. Nearly 700,000 Rohingya have to Bangladesh fled from Myanmar's west, where security forces and mobs have been conducting a brutal crackdown that the UN and others have described as ethnic cleansing. 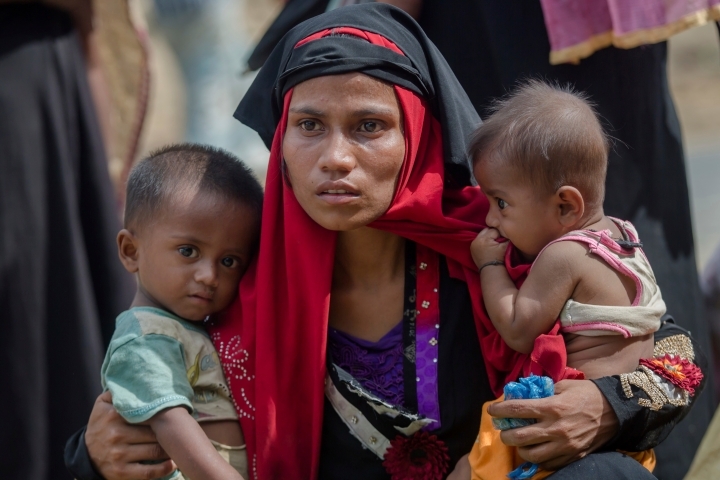 Prejudice against the Rohingya in predominantly Buddhist Myanmar is the most apparent, with many of the country's majority Burmans taking to social media to support the military campaign and disparage those fleeing. Still, discrimination has in recent years extended to other Muslims throughout the country, sometimes flaring into communal violence. Zuckerberg, in an interview this week with the news website Vox, said: "The Myanmar issues have, I think, gotten a lot of focus inside the company. And they're real issues and we take this really seriously." He acknowledged that Facebook was being used to send incendiary messages that could cause "real-world harm," but cited a case where he said such messages had been sent via Facebook Messenger, but were detected and blocked. Several calls Friday by The Associated Press to Facebook's main spokeswoman in Asia seeking comment went unanswered. Facebook has been a useful tool for people in Myanmar to exercise freedom of expression, but it had failed to enforce rules to make it a safe community for all, said Htaike Htaike Aung, executive director of Myanmar ICT for Development Organization, one of the groups that signed the letter. "This is not an isolated issue — we've been raising these challenges with Facebook for years," Htaike Htaike Aung said Friday in a follow-up statement. "We felt that Mark presenting this particular example as a success, though, was highly problematic and that's why we decided to use the opportunity to respond." Facebook recently removed the page of Wirathu, a monk at the head of Ma Ba Tha, a Buddhist nationalist group in Myanmar that is accused of spreading hate speech against Muslims. Wirathu has long been accused of posting racial slurs and inciting violence against Muslims.